W00t! 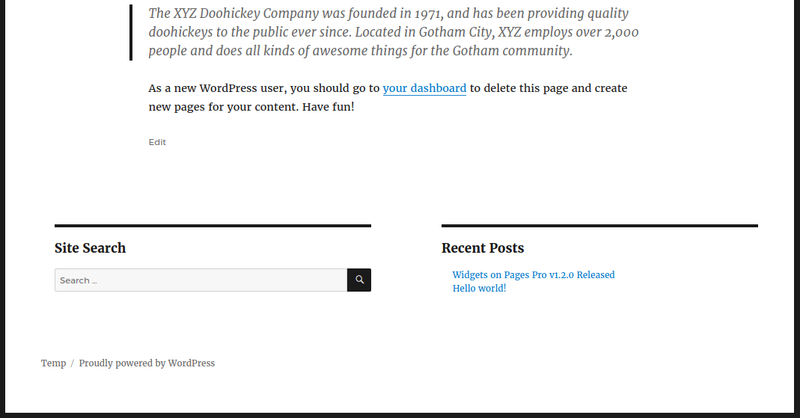 Version 1.3 of Widgets on Pages has just dropped for PRO users, and will be released to the WordPress.org repo shortly. There might be a couple of bug fixes, but the real deal is the new PRO feature of header/footer auto-inserts. 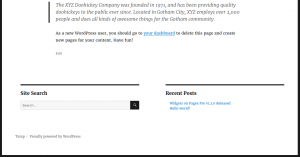 Here’s an example of it in use with WordPress’ TwentySixteen theme, to show a search bar and recent posts in the footer. 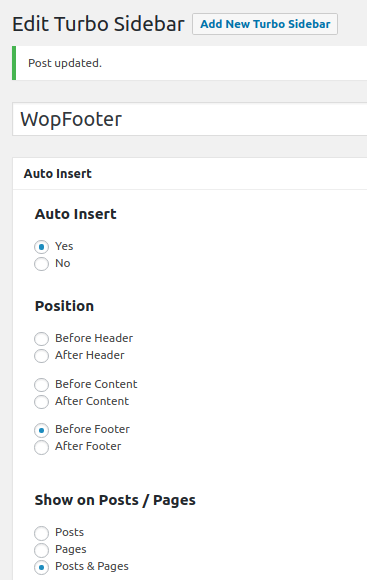 With the new release users can set a Turbo Sidebar to be automatically inserted into your theme’s header of footer section. 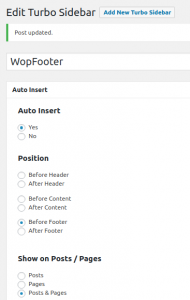 This can be particularly useful for themes that don’t have widget areas in the headers and footers out-of-the-box. Other release updates include a small update to the Turbo Sidebar admin screen, allowing quick copying of the shortcode… of course PRO users can use the button in the visual editor. We hope you enjoy the update, and feedback to us how you get on.